American Media Inc., which owns the tabloid, was granted immunity from the U.S. Attorney's Office for the Southern District of New York in December of last year as part of an investigation into the president's former personal attorney and longtime fixer Michael Cohen. 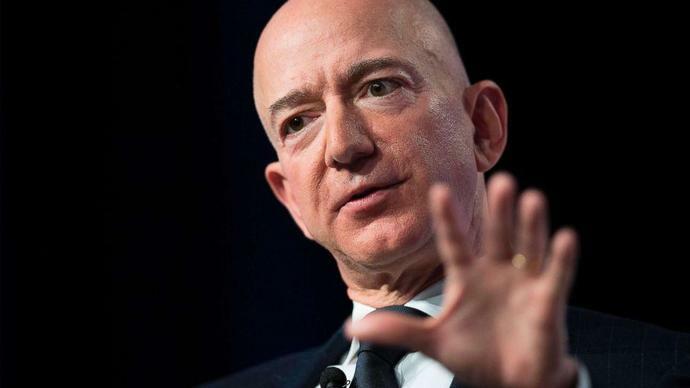 Prosecutors are now reviewing whether Bezos's accusations amount to a violation of that agreement, which required AMI to "commit no crime whatsoever" for three years, according to the source. A spokesman for the U.S. Attorney's Office for the Southern District of New York declined to comment. "Of course I don't want personal photos published, but I also won't participate in their well-known practice of blackmail, political favors, political attacks, and corruption. I prefer to stand up, roll this log over, and see what crawls out," Bezos said in his post on Thursday. "American Media believes fervently that it acted lawfully in the reporting of the story of Mr. Bezos," the company said in a statement. "Nonetheless, in light of the nature of the allegations published by Mr. Bezos, the Board has convened and determined that it should promptly and thoroughly investigate the claims. Upon completion of that investigation, the Board will take whatever appropriate action is necessary."